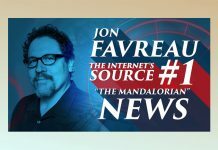 Head on over to Entertainment Weekly for a very thorough and detailed description of the events that took place during the exclusive footage from The Mandalorian screened during its panel at Star Wars Celebration Chicago 2019 (the full panel can be viewed here). Unless you were physically present in the Wintrust Arena during the panel’s presentation, you were unable to see this footage as the live broadcast cut out when the footage was being shown. Names of some of the new characters along with details on the series and a few official images were posted earlier at this link. Now we can add the footage description to our list of Mando knowledge. Video of the exclusive footage is most certainly already posted somewhere on the web, but until/if it is delivered via an official Lucasfilm channel, we will refrain from linking to it accordingly. 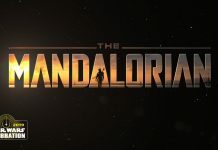 Here’s a rundown of the secret footage of The Mandalorian shown to fans at Star Wars Celebration today. Lucasfilm turned off the live-stream of the presentation, but EW has a description of what we saw.